The United States Navy in 2018 (updated), ships and submarines in service and under construction. 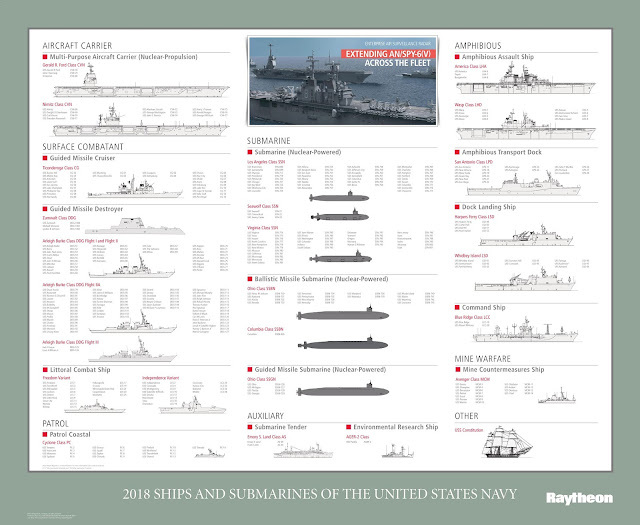 A poster created by Raytheon in PDF format here! U.S. Navy in 2018. High resolution image here. Ever since watching Top Gun i've wanted to join the U.S Navy, serve in a ship full of seamen, Go Navy!